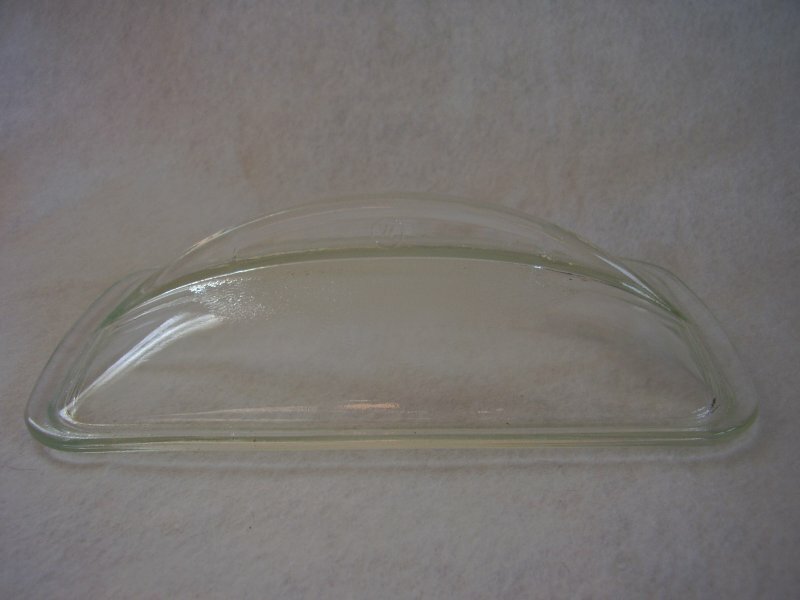 Vintage 1950s Replacement Domed Lid for Jeannette Westinghouse Glass Loaf Pan Refrigerator Dish. The lid has a modern style sleek dome shape with the fin handle embossed with the Westinghouse logo. 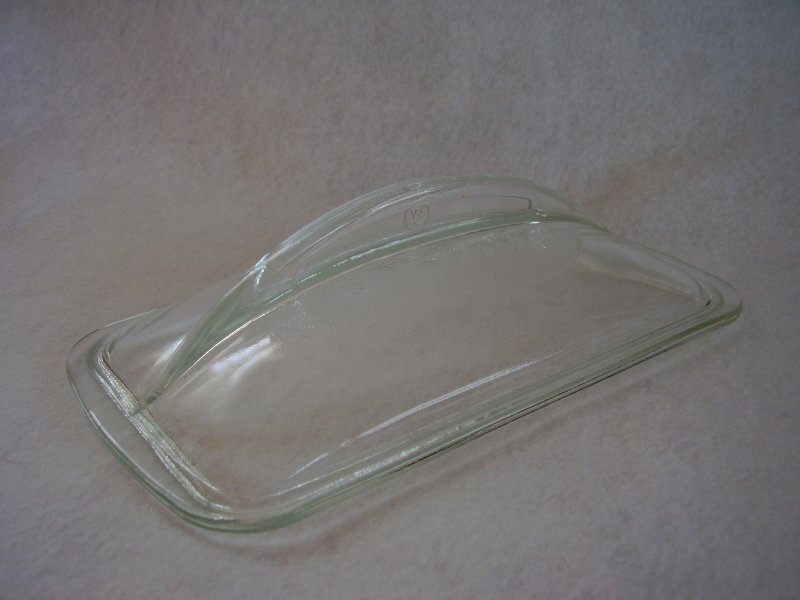 Note that this lid will also fit the promotional Hall Westinghouse loaf casserole dish from the 1930s. 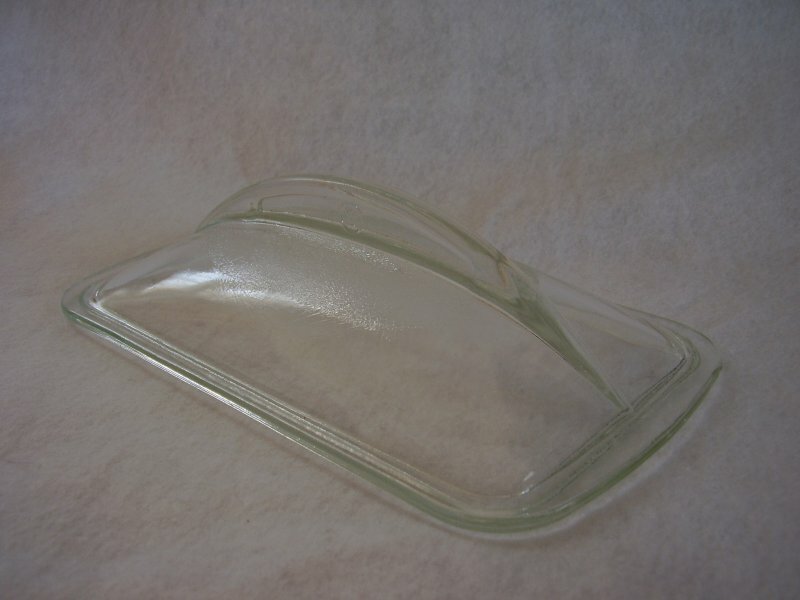 Vintage 1950s Replacement Domed Lid for Jeannette Westinghouse Glass Loaf Pan Refrigerator Dish. 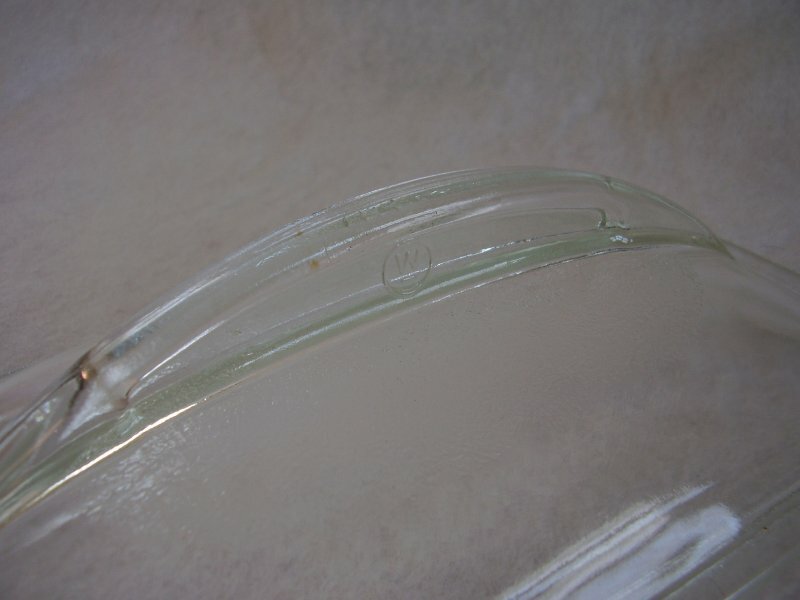 Made by Jeannette glass and manufactured exclusively for Westinghouse. The lid has a modern style sleek dome shape with the fin handle embossed with the Westinghouse logo. 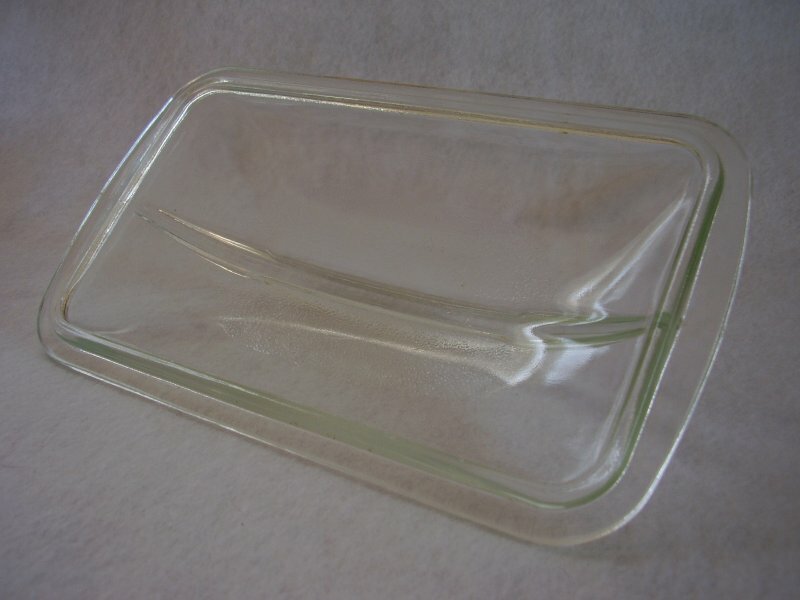 Note that this lid will also fit the promotional Hall Westinghouse loaf casserole dish from the 1930s. Very good vintage condition. No discoloration of the glass. One teeny pin head size chip on the underside of the lip. One small rough spot on the inner lip. 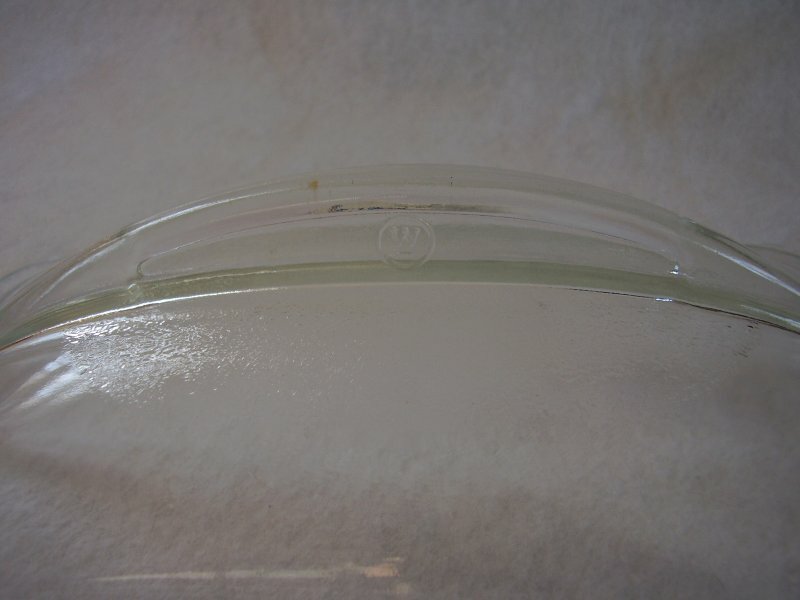 Measures 5 1/4 inches wide x 9 inches long.